Ben’s career path began in Whitley Bay, where as a young schoolboy he was inspired to work in challenging situations by his uncle’s exploits as a Royal Air Force search and rescue pilot. This fascination with the ‘extreme’ inevitably led him into a career that now involves 3 of his favourite things – medicine, travel and adventure. As a teenager, Ben and his friend had a climbing accident in the Lake District and were brought to safety by Langdale Ambleside Mountain Rescue team. It was this incident 15 years ago that started his pre-hospital care career and his love for mountain rescue. As an aspiring mountaineer he joined Northumberland National Park Search and Rescue Team and when he moved to Sheffield in 1994 to start a diploma in nursing studies, Ben joined Edale Mountain Rescue Team: one of Britain’s busiest based in the nearby Peak District National Park. It was long-term friend and mountain rescue colleague Martin Roberts that first introduced the idea of becoming a location medic to Ben. Taking unpaid leave from the hospital, Ben took part in his first expedition to the Arctic, providing safety and medical support for a documentary being produced by Channel 4. Following the success of this Arctic expedition more job offers followed, and in 2001 he started working with consultancy company Poles Apart as a location medic. 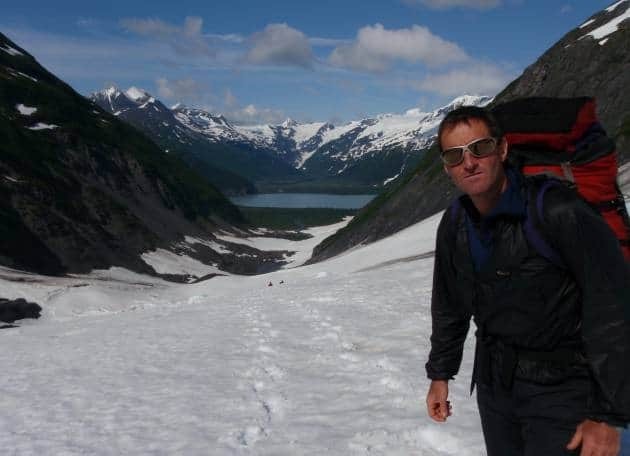 Enjoying his new-found love of practising medicine in extreme situations, Ben negotiated a contract with his hospital trust that allowed him to take 2-weeks unpaid leave each year to take on short-term projects for expedition organiser Antarctic Logistics and Expeditions (ALE). Ben spent five seasons in the Antarctic at ALE’s field camp, Patriot Hills (home to one of the world’s most remote field hospitals) providing medical, rescue and emergency logistical support to expeditions. 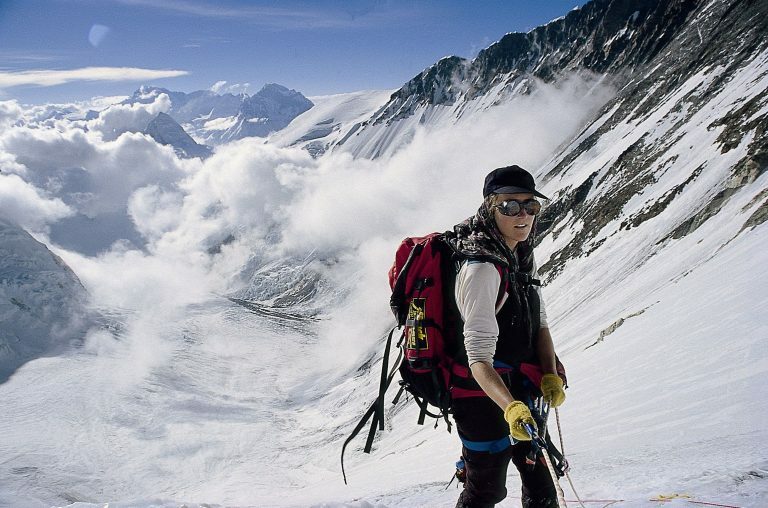 From there he has helped to provide medical and rescue cover to expeditions skiing to the South Pole, climbing Mount Vinson, running the Antarctic Marathon and 100km race as well as escorting clients on flights to the South Pole. 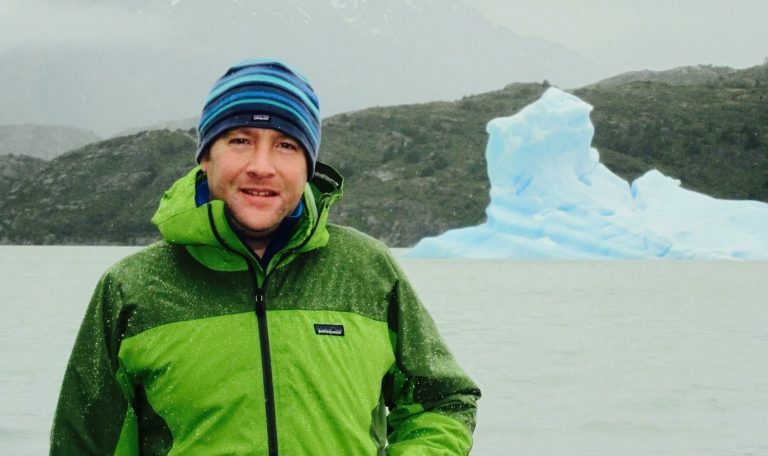 Ben now combines his work as an A&E Department Charge Nurse and an Emergency Nurse Practitioner at Northern General Hospital, Sheffield with film and expedition safety work in the Arctic and Antarctic as well as becoming a valued team member of the World Extreme Medicine faculty. A. As a Nurse (medic) in an extreme environment the ability to improvise is essential, you never know what will happen next. Thinking on your feet and being able to adapt to your situation will stand you in good stead as well as having a good sense of humour! Q. What first interested you in practising extreme medicine? A. I was introduced to the great outdoors from a very early age by my parents first and then by joining the Scouts. I also had an uncle who was a Search and Rescue pilot so whilst growing up the outdoors became a big part of my life. I joined the Northumberland National Park Search and Rescue team to complete my Duke of Edinburgh award and Queen Scouts award, which kicked started my interest in mountain rescue. Upon relocating to Sheffield to complete my nurse’s training I joined Edale mountain rescue team where I came across a doctor called Martin Rhodes. We both worked for a company called Poles Apart, which specialised in TV/film location work in extreme environments. One thing lead to another and I then became the first UK Nurse (I think) to work in the interior of Antarctica. I then started working with Sean Hudson (World Extreme Medicine co-founder) which then linked me into working with World Extreme Medicine (WEM) and becoming part of the WEM faculty team. Q. What has been your scariest ‘extreme’ situation and why? A. My scariest situation was during a rescue in 2005 for a fallen climber in Antarctica. We had deteriorating weather and high winds, plus extreme cold (it was -45 degrees) and limited communication making the rescue attempt very challenging. We were descending in a Twin Otter, being buffeted around this small plane across a crevasse field whilst trying to avoid avalanche debris and this was on the ski way, we hadn’t even made it into the sky at this point! Our exciting WEMski mini-conference is bringing together inspiring adventurers, leading medics and extreme environment professionals delivering content centred around real-world experiences of extreme physical and psychological challenges, impacts of stressors, excellence in leadership, medicine in the extremes and much more. 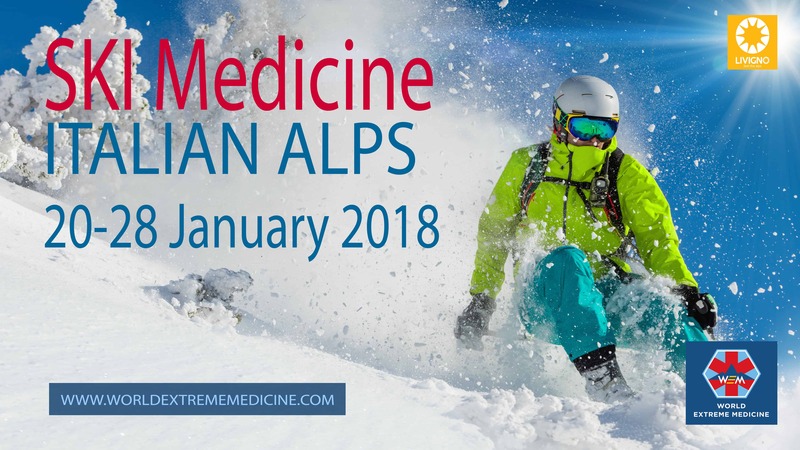 For anyone looking to perform better in their extreme medical career, learn ski medicine and cope with the impacts of being in an extreme situation, this is the event for you. During your time with us, the mornings are your own; allowing you dedicated time on the mountains (all abilities are welcome) to enjoy and take advantage of 125km of skiing, in addition to an extensive freeride mountain, 45km of cross-country walking/skiing paths and several snow-parks that play host to international events across the Livigno Valley. The afternoon conference sessions will be filled with captivating content and traditional WEM style-teaching; covering practical clinical skills alongside informative lectures and interesting panel discussions. There will be dedicated sessions where you will have the unique opportunity to speak with our WEM faculty; plus, for further inspiration you’ll have the opportunity to ask questions and gain a valuable insight into how our world-renowned speakers have overcome significant individual mental challenges. • ‘Ski; ask the expert’ – informal sessions allowing delegates to directly access the expertise of the faculty. 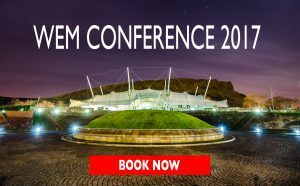 WEMski provides the perfect opportunity to come together, network and learn from the best; while spending time in a relaxed and picturesque environment amongst peers, our amazing speakers and WEM faculty. – Full WEMski conference access. – Daily transfers from the slopes to the conference venue. – Sunday night welcome drink with canapes and live music in Livigno’s most popular bar. – Mountaintop 3-course hog roast lunch in a stunning panoramic restaurant (on Friday). We have partnered with local in-resort specialists Livigno Snow Holidays to help you organise transfers, accommodation, ski passes, kit hire and après-ski activities. For further information and costs, please click here. For an incredibly fun, diverse and inspiring week – book your WEMski place today! If you are thinking about joining us in January 2018 for our fantastic WEMski mini-conference or have already booked your place; we have partnered with local in-resort specialists, Livigno Snow Holidays to help organise your transfers, accommodation, ski passes, kit hire and après-ski activities. They have put together this essential information guide that contains everything you’ll need to know about booking your WEMski trip. WEMski is the perfect way to be both physically and medically introduced to a mountain/winter environment with skiers of all abilities welcome. Livigno Snow Holidays are used to organising large groups for all ability levels, so there will always be someone on hand to answer any questions you may have regarding the resort, your kit and tuition. 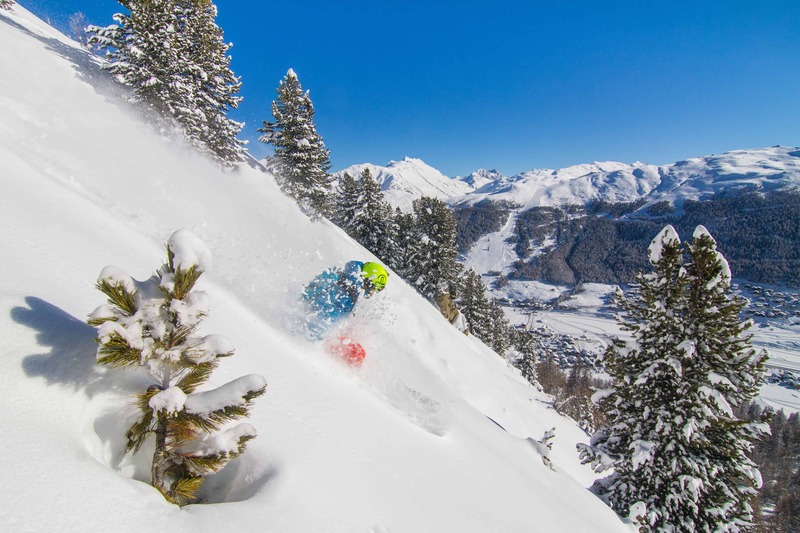 Voted ‘Best European Resort’ in the London-based World Snow Awards, Livigno is a leading winter resort with over 125km of skiing in addition to an extensive freeride mountain, 45km of cross-country walking/skiing paths and several extensive snow-parks. It is also home to Europe’s largest wellness facility. The town stretches over 13km and is packed full of bars, pubs, cafes, extensive tax-free shopping and over 100 restaurants from simple pizzerias to Michelin star eateries, not to mention the highest brewery in Europe. Livigno is also tax-free making it one of the most reasonably priced Western resorts despite the very high standards. Livigno Snow Holidays have a team in-resort for the duration of the winter, all of whom are bi-lingual and know Livigno inside out including owner Nikki McLeary who is contactable 24/7 during the week of WEMski. All welcome packs will be at your accommodation upon arrival and will include ski passes, resort information, snow gadgets (complimentary neck buffs etc.) and Italian Alps branded wristbands which give you 10% off various restaurants in town. The team will also accompany you to the ski hire centre upon arrival to ensure you get everything you need. Every morning there will be an arranged meeting time and place for those that would like to ski and lunch together with the WEMski and Livigno Snow Team. There will be coaches provided to then take everyone on to the conference venue (7 minutes’ drive) for the afternoon sessions that take place between 13.00 – 17.30 Sunday to Thursday (Friday is a full free day to enjoy the slopes). Every evening is free to enjoy at your leisure, you can travel from the conference venue back to your accommodation by foot, free ski shuttle or taxi before enjoying your evening in the lively town. You will need to book your own flights, so you can choose the most convenient route and time for you. We would recommend flying into Zurich airport arriving Saturday morning (20th January) and departing on Saturday afternoon (27th January). Alternatively, if Zurich is not possible then any of the three Milan airports can also be considered (Milan Bergamo also known as Orio al Serio, Milan Linate and Milan Malpensa). Via Zurich, there is a stunning snow-train journey every hour through the Swiss Alps to the little town of Zernez on the Italian/Swiss border (2 hours 20 minutes) which connects with a ski shuttle bus to take you directly into the town centre of Livigno on the Italian side (35 minutes). The train/bus journey is an exceptional experience as you enjoy the panoramic views of the Lake of Zurich, take in the breathtaking Italian Alps for the first time and travel through the beautiful resorts of Klosters and Davos. You’ll go through the world’s longest metre gauge railway tunnel (Vereina Tunnel 19,058 metres in length), over the checkpoint on the Swiss/Italian border (guards still patrol due to the tax-free status) and into the resort. You can purchase train tickets on the day, but discounted tickets are available prior to travel at www.swisspasses.com. We recommend you speak to staff at Zurich Central Station (15 minutes by train from Zurich airport) to discuss platform changes as there is usually a change at Landquart and Sagliains. The resort organises public ski shuttle buses every Saturday to and from Livigno. We recommend you discuss your flight times with the Livigno Snow Holidays team to ensure they fit into the following schedule if possible. Milan transfers will be bookable nearer to the time of arrival and transfers are also possible via train and taxi upon request. All the accommodation offered by Livigno Snow Holidays is of a good standard and located in the town centre with immediate access to the main slopes or within 500 metres. There are over 15,000 beds in Livigno, so there are many options available depending on your budget and party size. If you are travelling alone, you can share a twin or triple room in a hotel or chalet to reduce costs, alternatively, single occupancy can also be arranged. All kit hire (skis/boots/poles) is stored at the kit hire centres on the main slopes in heated storage to avoid carrying any skis/boots to and from your accommodation. If you are bringing your own kit ski lockers can be arranged. To make it as easy and convenient for you, Livigno Snow Holidays can organise everything you will need to get you out on the slopes. Once your booking has been made, there will be two payments to make. The first payment will be for your accommodation and will be required within 5 days of booking. The second is the final payment 3 weeks prior to arrival for any transfers, ski passes, kit hire, ski courses or après-ski activities you choose. Both payments are in Euros, paid to Livigno Snow Holidays business account based in Livigno with any banking charges payable by the guest. • Chalet owners will refund 70% of your accommodation cost minus banking charges. • Hotel owners have booking policies they refer to dependent on the date on which you cancel. • Livigno Snow Holidays will refund 100% of transfer, ski pass, kit hire, ski course and après-ski payments up to 10 days prior to arrival. For further information or to book any of the above, please contact the owner of Livigno Snow Holidays, Nikki McLeary directly on info@LivignoSnow.com or call 07956 018 995 quoting ‘SkiMed’. 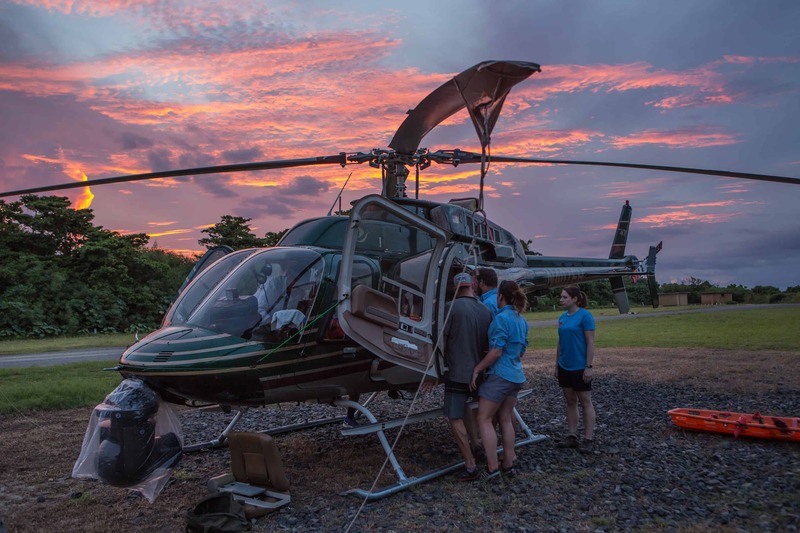 Expedition in extreme and wilderness environments is growing rapidly in interest and has yielded the field of extreme and adventure medicine. However, for every environment in which humans are challenged to provide critical care and support for successful expeditions, animal species have come before and not only survive there, but in many cases thrive there. Climbing Mount Everest is a huge challenge for humans without oxygen, yet bar-headed geese can fly with ease at altitude. Turtles can survive without oxygen for months at a time, but for humans a few minutes without oxygen underwater can result in death. Most humans do not live beyond 100 years old, yet Greenland sharks live to be over 300 years old. The more we learn about the intriguing life on this planet the more we are discovering about how species can out compete us and live effortlessly under extreme conditions. Now in its sixth year, the World Extreme Medicine Conference is a platform for inspiring medical minds to meet, share experiences and promote cross-disciplinary working. We are dedicated to sharing and spreading best practice for the world’s medical professionals who are willing to risk themselves to help others. The conference stimulates new thinking, extends professional relationships and shares new and more effective approaches to medical practice in challenging environments. The Extreme Medicine Conference focuses on a number of interrelated medical fields: Pre-Hospital, Disaster & Humanitarian, Expedition, Endurance and Extreme Sport, Space and Extreme Medicine. We work with a range of multi-disciplinary partners and together, we offer a programme of fascinating talks from world-renowned experts in their field – from Arctic explorers to vascular surgeons, remote medics to NASA & ESA personnel. We host practical sessions on field-proven techniques and ‘hacks’ to inspire and enhance your skills, helping you to become a more effective and highly valued practitioner of remote medicine. Each distinct day shares hands on experience, new research and best practice whilst the amazing worldwide gathering of eclectic medical minds gives you access to one of the worlds most energetic medical networks. Join inspiring medics such as Dr Mike Stroud, Prof Chris Imray, and ESA’s Dr Beth Healey, mountaineer Cathy O’Dowd, the first woman to climb Everest from both sides, Jason ‘Foxy’ Fox of SAS; Who Dares Wins, Eddie the Eagle who needs no introduction, Dave Pearce Everest summiteer and Aldo Kane Safety Directors for Bear Grylls and Steve Backshall, Antarctic medic Ben Cooper, WEM founder Mark Hannaford, hostage & ransom negotiator Martin Brennan and clinical psychologist Dr Nathan Smith. Secure a discount. 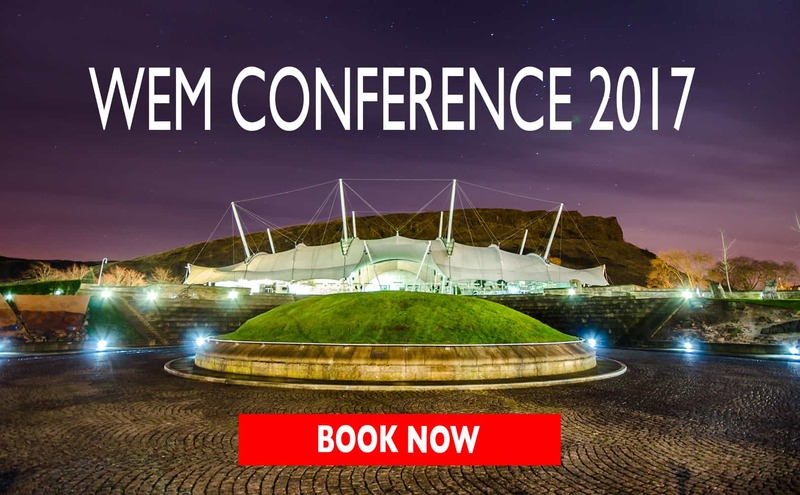 Book the Extreme Medicine Conference WEM17, 25-27 November Edinburgh, and WEMski by the end of October to receive a discount of 10% on your WemSKI booking. To take advantage of this combined deal contact WEM with your ‘WEM17 booking receipt’ to receive the discount code. Latest Public Health England Guidelines for Malaria Prevention in Travellers from the UK just been published. Thank you to Dr Paul Richards​ for highlighting. 2) 88% of global cases originate in the WHO Africa region. Predominance of UK imported malaria cases and all UK deaths from imported malaria are from Africa. 3) Substantial changes to advice for some countries in SE Asia, S America, parts of the Caribbean and S Asia. 4) All travellers should be advised to take precautions against mosquito bites, irrespective of whether it is specifically recommended for malaria. 6) A brand to Atovaquone/Proguanil combination will be available as a pharmacy medicine. Former Special Forces Jason ‘Foxy’ Fox joins the WEMski faculty! WOW… WEMski 2018 really is shaping up to be one incredible event; not only have we snapped up Eddie ‘the Eagle’ Edwards, but we’re excited to announce that WEMski will also be playing host to ex-Special Forces veteran Jason ‘Foxy’ Fox. Recognised most widely for instructing civilians through the SAS selection process on the Channel 4 reality series SAS: Who Dares Wins, Jason’s illustrious career began when he was 16 years old. After enlisting in the Royal Marine Commandos, he then went on to pass the gruelling 6-month selection process to enter the Special Forces, where he spent the remainder of his time in the military as an SF operator for the Special Boat Service (SBS). During his time with the forces, he conducted numerous roles across real-time operations across the globe, ranging from Sergeant Team Leader, dog handler, demolitions expert and combat swimmer, to counter terrorist expert and bodyguard, before leaving in 2012. Jason’s time is now split between being a TV and film consultant, and the charity he co-founded called Rock 2 Recovery, which helps armed forces personnel, veterans and their families in dealing with Post-Traumatic Stress Disorder (PTSD). He also travels around the world as a keynote speaker, as well as running a company that provides Special Forces experiences to the corporate world. This wealth of experience will be invaluable to those attending the WEMski event, to which Jason will be bringing his vast real-world knowledge. Delegates will learn about the physical and psychological challenges in extreme pressurised environments, building emotional resilience in the face of adversity, the virtues of strong leadership in hostile locations, plus much more. We are very excited to have Jason on board this January, and we’re sure that those of you attending will learn more than you bargained for… though don’t fret, that won’t include discovering whether you can undergo the punishing Special Forces selection process. You will, however, be part of a select gathering of people for a week of inspiration, networking, learning and a healthy dose of ski-therapy on the slopes! Book your WEMski ticket today! If you are a non-skier there are lessons to be booked and a host of other pretty amazing facilities to keep you busy! When it comes to announcing one of the key speakers at WEMski in Livigno, Italy next year, this man needs no introductions…. 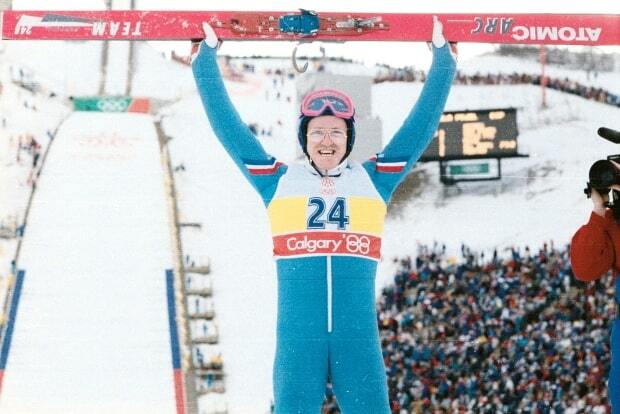 He is, of course, Britain’s most loveable ski jumper the infamous Eddie ‘the eagle’ Edwards. Eddie captured the nation’s hearts at the ’88 Winter Olympics in Calgary for his ‘can-do’ attitude and sheer determination and we’re sure he will do the same at WEMski, sharing his many experiences on and off the slopes, plus inspiring winter tales from around the world. Eddie, alongside our other key speakers and guests, will help you further understand real-world experiences of extreme physical and psychological challenges as well as impacts of stressors, and for an athlete, it doesn’t get more stressful than competing in an Olympic Games. As any Olympic athlete will tell you, the training and participation in an Olympic Games is an extremely challenging experience both mentally and physically. Pushing your body to the extreme, and in the case of Eddie and other winter sport Olympians, putting yourself in potentially dangerous and life-threatening situations in the pursuit of victory, even if personal success doesn’t equal a place on a podium. Eddie is no stranger to requiring medical assistance on the mountains having suffered 30 injuries throughout his career, some of them life-changing. Eddie has damaged a kidney and fractured many bones, including his skull, twice, and so has first-hand experience of how important extreme medicine can be when you find yourself injured and incapacitated on the side of a mountain. If a week of networking and learning from amazing and inspirational medics as well as exceptional experts in extreme physical and psychological areas sounds like fun (plus don’t forget about the free time to hit the slopes) – book your WEMski place today! 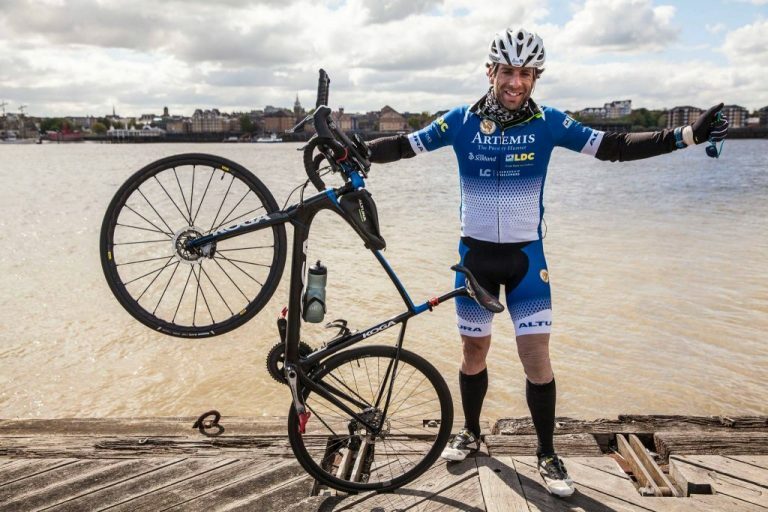 When record-breaking endurance cyclist Mark Beaumont, contacted us regarding his world record breaking attempt of cycling around the world in 80 days; to see if we could help support him on this amazing, crazy adventure we jumped at the chance. We are delighted to say that his incredible effort and hard work paid off, and he cycled around the world in a total time of 78 days, 14 hours and 40 minutes; creating new records as well as breaking old ones. We were extremely honoured to be part of his ‘home’ team. WEM faculty and former Paralympic Lead Physiotherapist for British Athletics, Laura Penhaul, was Mark’s performance coach throughout the entire trip and provided constant medical support 24/7 alongside his crew, whilst our own team back home offered technical support and a reach-back facility. As with any expedition of this nature, there was an enormous amount of planning and pre-expedition training undertaken with the ground team and all the amazing medics supporting Mark on this incredible feat of human endurance. It’s a real testament to Mark, his entire team and the training they received; that Mark came through this challenge relatively unscathed, and where medical intervention was required it was handled as effectively as possible given the challenging environments they found themselves in. The WEM team were on call 24 hours a day, there were a few instances where our assistance was required; such as Mark’s tumble on day 9. This resulted in Laura’s first ever attempt at emergency dental work after seeking advice from WEM Dentist, Burjor Langdana, former British Antarctic Survey Dentist. We also drafted in Andrew Murray, a Sports Medicine doctor and a speaker at WEMs annual Extreme Medicine conference who advised on an injury to his elbow. These injuries, of course, didn’t stop Mark and after close monitoring by the team, he was back on his bike within a couple of hours ready to complete his required daily 240 miles. It is this drive and determination that has enabled Mark to achieve this remarkable physical feat alongside a well-planned and organised team who supported him through this endeavour. Congratulations once again Mark and Laura, we can’t wait to hear you both talk about your experiences at this year’s 2017 World Extreme Medicine Conference in November. We still have places available should you want to see Mark and WEM Faculty, Laura, present in Edinburgh. Book your place today! NEW.. WEMski; where medicine, snow & inspiration meet..
WEM are extremely excited to be launching a brand new mini-conference ‘WEMski’. A gathering of people less ordinary for a week of inspiration, networking and learning with 110 kilometres of awesome ski runs right on the doorstep!! Get your 10% discount BOOK NOW! 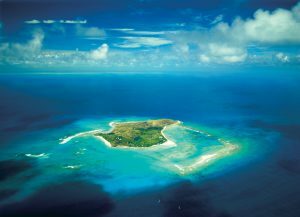 WEM are looking for doctors, nurses and paramedics to provide medical cover for a major TV project in the SOUTH PACIFIC in the first 6 months of 2018. Positions ranging from 6 weeks to 5 months are available. This is a salaried position with flights, accommodation, food & insurance included. The post involves a mixture of clinic work, remote work site medical cover, local and international evacuations as well as on-call commitments. For doctors and nurses a background in emergency medicine or general practice is preferred but other specialties may be considered. Previous experience of working in remote areas is essential as is the ability to work in small teams, flexibility and a sense of humour. Applicants must be available for a briefing weekend 14/15th October 2018 in the Peak District. You can submit a maximum of two images and your image needs to be square, of good quality and inspiring! Competition closes on 31st August 2017. Please send images to admin@extreme-medicine.com. The winner will be chosen and notified by 29th September 2017. Now in its 6th year, the 3 day World Extreme Medicine Conference is a powerful and high-profile event, created to break down barriers, build bridges and make connections within the extreme medicine community. It is recognised for its world-renowned speakers, its authoritative and innovative content, plus its contribution to sharing information for those practising medicine in the most remote and austere environments known to humankind. This amazing worldwide gathering of eclectic medical minds, thought-leaders and extreme adventurers gives you access to one of the most energetic and unique networks in the universe – a truly compelling and enticing proposition for our global audience of medical professionals. • World-renowned speakers – we’re able to attract an extraordinary selection of speakers who will share their extreme experiences in fascinating talks, explain field-proven techniques, promote new approaches and best practices, and inform and educate fellow medics about the key issues and challenges being faced today in the world of extreme medicine. • Topics – the conference brings together four disparate but overlapping medical fields in one arena: Pre-Hospital, Disaster & Humanitarian, Expedition, and Extreme Medicine. As well as covering rescue equipment, medical supplies, generalist expedition and remote environmental kit, pharmaceuticals, and innovations and communications equipment and services. 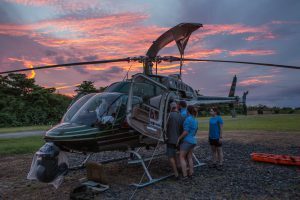 • Hands on experience – we host practical workshops on field-proven techniques and ‘hacks’ to inspire and enhance your skills, helping you to become a more effective and highly valued practitioner of remote medicine. • Networking – where else can you meet face-to-face and share experiences with a diverse mix of world-renowned experts in their fields; from Arctic explorers to vascular surgeons, remote medics, to NASA & ESA personnel. Plus, the opportunity to converse with your counterparts and colleagues from around the world. • Further your career – enhance your knowledge and increase your skillset to ensure you are in the best position possible to further your medical career and become a more effective and highly valued practitioner. The World Extreme Medicine Conference is accredited by the Royal College of Surgeons (Edinburgh) for 6 CPD credits per day. • One of a kind event – our medical conference is one like no other. The energy is unparalleled and the presence of so many awe-inspiring, talented, clever minds creates an electrifying experience you can’t afford to miss! World Extreme Medicine Conference 2017 from World Extreme Medicine on Vimeo. Be part of the world’s biggest gathering of extreme medics; dedicated to preparing, inspiring, sharing and connecting medical knowledge with you! #BeExtreme. N.B. If you are unable to attend our conference, you will be able to listen to many of the talks on our podcast called ‘WEMcast’: https://wemcast.podbean.com. 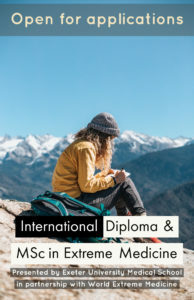 The world’s first International Diploma & MSc in Extreme Medicine, a collaborative project between World Extreme Medicine and the University of Exeter Medical School isn’t focused on a single extreme its looks at all of them and it varied pathways means that you are able to follow your specific interest leading to a Diploma in Expedition Medicine or a Diploma in Humanitarian Medicine. The program prepares its students for the diverse medical fields of expedition, humanitarian, disaster and space medicine through didactic teaching combined with experiential residential courses presented by a world-class faculty aiming to inspire but also provide training and tools that will benefit your everyday medical career. This unique programme is delivered in partnership between the University of Exeter Medical School and World Extreme Medicine, the world’s leading provider of specialist training courses for medics taking their skills into challenging environments. The Emergency Responder and Health and Safety officer on Neckar Island is a diverse role for whom we are looking for a vibrant and confident medical professional who doesn’t mind something a bit different to the usual medical job. A minimum of a 1 year contract, we are looking for a Nurse, Paramedic or Doctor who is interested in remote medicine and preferably has experience in tropical disease, dive medicine and first aid training. We are very honoured to be part of your ‘home team’ and supporting you in this epic journey! Keep up the great effort! #80Days #BeExtreme #TeamWEM Go our dental guru Burjor Langdana! A major tumble on Day 9 saw WEM providing dental advice to Laura…. ‘So at 05:30am, 1.5hrs in to the first session, the thing you hope to never happen, happened. Mark had an accident. He hit a pot hole which stopped the bike in it’s tracks whilst he continued forwards over the handle bars. The impact of landing was taken heavily on his left hand and face, which resulted in splintering his left canine tooth, shearing off the enamel and exposing the dentine and residual enamel underneath. Understandably he came in to the RV a bit shaken, he was spitting blood and shards of enamel out of his mouth. As routine, vitals were checked and all within normal range. Ongoing monitoring was maintained through the following 45mins to watch for shock. This was hugely helped by TempusPro automatically monitoring his blood pressure every 3 minutes, his oxygen saturation, heart rate and respiratory rate, whilst recording it all in the background, allowing me to get on with managing Mark. When Mark fell he also automatically tried to brake his fall with his left hand. Although there was direct contact with the ground through the hand, the force was distributed up the arm and he felt discomfort in his elbow. Imagine the braking force coming up from the ground through the forearm and his 90 kg’s dropping down, these two forces converge at the elbow causing compression at the joint. This is a typical mechanism of injury for a radial head fracture in the forearm, so it is on the top of the list for a possible diagnosis. Thankfully though his range is fairly reasonable, he has no pain on palpation and although uncomfortable, he is able to weight bear through the arm. Being linked with World Extreme Medicine, I contacted Mark Hannaford to ask for a dentist expert and he kindly put me in touch with Burjor Langdana who is the ex Antarctic Survey Dentist. After sending some photos I took and an email to Burjor, within the hour he sent me an amazingly informative and thorough email detailing the steps to take to manage Mark’s tooth. Following his sound advice will involve filing down the tooth to smooth it and then applying a resin – all in a normal days work for a Physio by trade! One of Mark’s close friends spotted the incident on social media and lives in Moscow so is trying to source some resin to send to me. Doctor Andrew Murray is a Sports Medicine doctor, and a speaker at WEMs annual Extreme Medicine conference who, along with Dr Sean Hudson MBE WEM’s co founder, is kindly at the end of the phone for me if I have any medical queries to discuss when Mark’s performance is involved. Andrew and I have spoken today at length about the worst case scenario of Mark’s elbow having an underlying hairline fracture. In any normal situation you would get imaging/ further investigations to confirm a diagnosis, however we are not in the position to spend a few hours looking for and then sitting in a Russian A&E department. In this situation you have to weigh up the worst case scenario, if it was diagnosed as an intra-articular joint fracture or a radial head fracture, what would our management be? Would our management change if we had the imagery? Could it be an injury that would have long term negative affects if it’s not treated correctly now? Etc etc. Without imagery, we can say that Mark is able to tolerate weight bearing through the arm and can grip the brakes/ gears, so is therefore safe on the bike to continue to ride. Mark is happy to continue riding and doesn’t feel it’s bad enough to stop (that in itself is a strong indication of severity not withstanding his mental strength). For now we ice it regularly, apply compression to be worn when riding, address any secondary stiffness above and below the joint and fundamentally monitor it over the next 48hours. These next 2 days will give us a greater idea to it’s severity and presentation.